Hey! 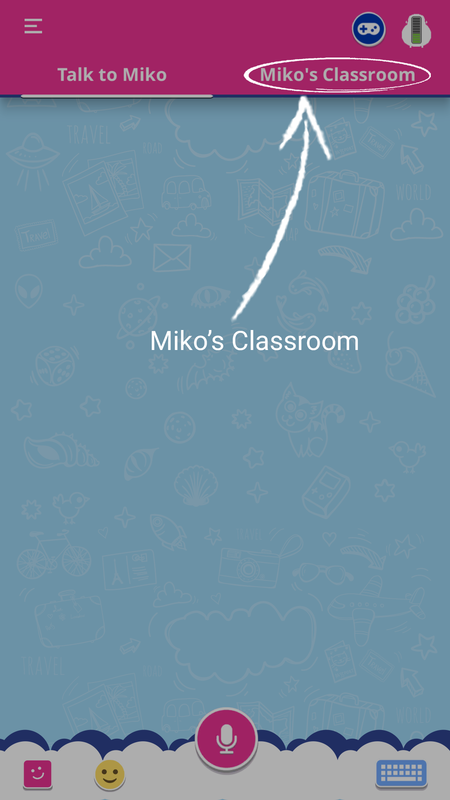 Now along with Talk to Miko we are proud to present Miko’s Classroom which is an exciting way your child can converse with Miko. 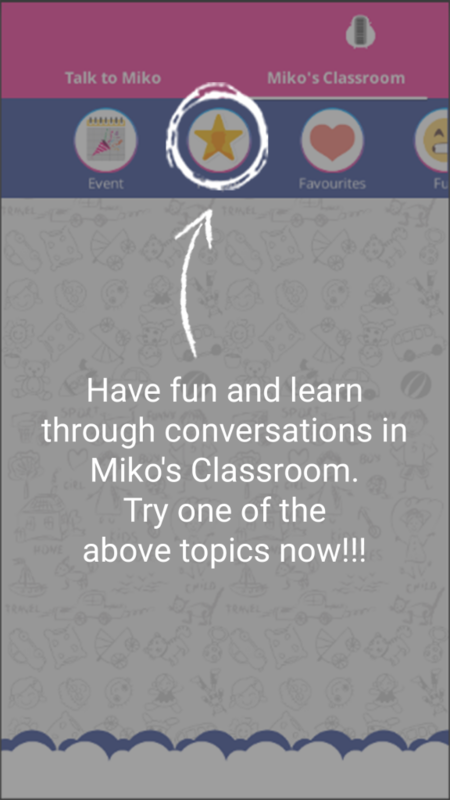 Miko’s classroom lets your children have detailed and guided discussions with Miko on their topics of interest. With the perfect blend of subjectivity and objectivity, it lets Miko entertain and educate your child on various facts and subjects, increasing their pool of knowledge. This, is also a path breaking innovation in the field of conversational technologies globally which enables Miko to have continuous dialogues with the child. There are about seven categories and each of them have a range of topics corresponding to them. We are working on regularly updating the categories and subcategories. The Fun category is for the entertainment purpose of the child solely. It has topics ranging from games, jokes and music to food and comic characters. These topics initiate conversations between Miko and the child, ensuring the right balance of entertainment with education keeping the companionship exciting and enjoyable. The People category has topics giving out factual information regarding famous people in the course of the conversations. It tells the child about people, who have proven their notability in various fields like politics, sports, armed forces and freedom fighting. In the Favourites category the topics initiate general day to day conversations with the child. This stems into a personalised interaction between the child and Miko thus creating a rapport between the two. As the name suggests the Study category is for educational purposes. It mainly has topics in objective perspective related to the subjects( like maths, science, history, geography) in general curriculums from pre primary to 5th grade. The category of Events has topics corresponding to the upcoming significant events.The topics come alive on the particular days of the events unleashing their importance and the catchphrases associated with them. All users having the My Miko app version 3.1.21 and above will be able to use the same.